A complete financial and system analysis is an important first step in figuring out what happens next. Once we have an understanding of just what the issues are and what needs to be done to achieve the outcomes the business owners desire, we can begin to put into place the necessary procedures to maximize profit and performance of any business. It’s sometimes said that “A failure to plan is a plan for failure”. Many businesses have grown “organically”, a process in which a need in the market was identified, the business was started to fulfill that need, grew as customers needs were met, but often without much formal planning. A critical part of our service is helping to assess the future of a business and to assist in clarifying the goals and direction of the company and its owners. We’ll formulate a Business Action Plan, an uncomplicated, strategic document that identifies key decision-making points. These milestones are quantified and incorporated into budgets and cash flow projections in order to predict just how your business will grow and improve using that plan. We’ll then assist you in the implementation of the Business Action Plan, which is an important part of our Business advisory services, and help with the timing of those decisions to improve, correct, or restore business profitability. Most owners of smaller business are experts in their fields. They have to be to survive, even for a short time. Being an expert in all of the administrative procedures is a very different matter however and many owners struggle with understanding what they have to do and when. Without this knowledge it’s easily possible to trade in contravention of legislation and compliance requirements, some of which have significant penalties that may apply. 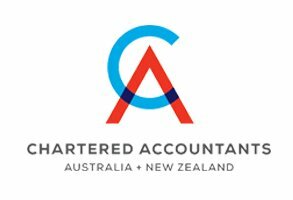 Business Adviser has more than a quarter century of experience in advising businesses of all sizes in the complex issues of tax law, audits, budget analysis, insolvency and many other requirements faced by all companies. Using this experience we’ve codified the requirements and produced a simple, easy to follow program that will ensure you meet all your business’s legal and financial obligations, on time, without risk of penalties. We give you a stress-free business advice service to deal with all those compliance issues and leave you worry-free to get on with growing your business. Do you really know what the financial information is telling you about your business? Besides the necessity to prepare accurate information to satisfy tax requirements, what benefit is such information to you? Can you do better? Is your cash flow sound? Does your business compare well with benchmarks for your industry? Product and service – what is the profit or loss of each product line? Cyclical best and worst trading months. Cash flow peaks and troughs. Just as you’re an expert in your business, we’re experts in business advice services and we want to share that knowledge with you to help you make the best decisions for your future and that of your business. experienced Financial Planners who can assist with this critical aspect of your future and who are obliged, as a part of the Business Adviser organization, to maintain the highest ethical standards. Any financial plan generated on your behalf by our planners will be checked personally by our Principal, Mr. Mark Bonney. When we’re caught up in the day-to-day running of a business, it”s easy to forget we’re all getting older, closer to retirement or worse, illness or even death. Often business owners come to these realizations late, complicating the handover of a business or even resulting in a sound asset that the owner has worked at developing for many a year, being dismantled at considerable loss. We’ll at least ensure that you give thought to these issues and, if you choose, we’ll help you develop a plan that works for you and your successors. Through our unique structure, Business Adviser can provide introductions to highly experienced legal practitioners who often work closely with our customers on such issues. What we’ve tried to do here is to give you an overview of the kind of service we can offer you and your business. You can read what others have said about us here and of course, there’s lots more of interest but if you’ve seen enough to know you’re like to talk to us about keeping your costs down, your profits up and your business buoyant, don’t wait. Act now. Click this link to contact Business Advice Sydney and begin the prosperity process. We had our accountant for over 10 years. Business was not travelling well and we just wanted better advice and help. We were introduced to Mark Bonney/Business help and they not only resolved our debt issues but got us onto the correct track. Business Adviser has been providing accounting & tax advice to us for over 12 years. Their diversity of services range from initial management buy out advice to advisory support we receive on a monthly basis. I have found Business Adviser to be accommodating and available to address both our business and personal financial issues. Our profession demands quality which we expect and duly receive. I have engaged Business Adviser services numerous times over the last 8 years. At times I have been very demanding on them as I have considered the purchase and sale of a number of businesses before finalising my selection. Business Adviser provide exactly what they say. Clear Financial Direction. Principal Mark Bonney is professional, practical and accurate so we are very satisfied with the work provided to us.